Rick formed HOLY SMOKE in 1997. 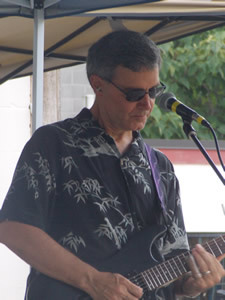 He was a previous member of the band “Southern Word.” Rick sings most of the lead vocals and plays guitar and harmonica. His zeal for praising the LORD through music is endless and he has a passion for reaching the unchurched through music, praise and by living out a life dedicated to JESUS. Rick is the worship leader at the North Glen Church on Furnace Branch Rd. Glen Burnie, MD. 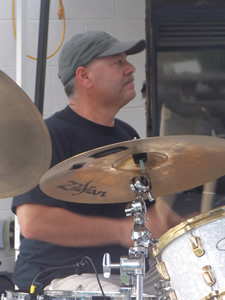 Tony was previously the founder and leader of the band “Alexander,” a Christian rock band that shared the stage with Rez Band, White Cross, Holy Soldier, King James, Margaret Becker and a host of others. Tony plays lead guitar and sings lead and backup vocals. He has an extensive musical background, thus allowing him to express his love of the LORD in many ways. That love is experienced by anyone who sees and hears him play. 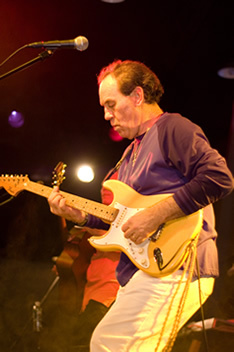 Tony’s energy and passionate love of CHRIST resonate from the strings of his guitar, to his performance and into the hearts of the audience. 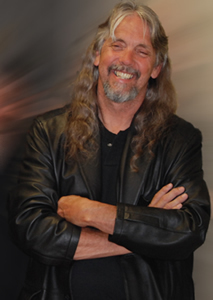 He is also a producer, engineer and owner of STRAMSOUND Studios, located in Hanover, MD. Ron is the newest member of Holy Smoke, but is by no means a stranger to the universal language of music. He first started as a concert musician playing trumpet and tuba and later expanding his horizon playing bass with local Annapolis groups, “ODYSSEY” and “JADE”. With these groups he played 30’s and 40’s standards, Dixieland, jazz, blues, 50’s rock & roll, 60’s & 70’s classic rock. Saved by Grace in 1981, God led him down a new music path into Christian Music. 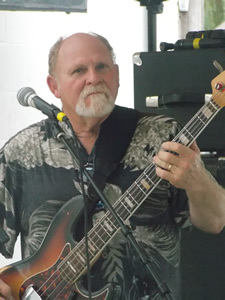 He played guitar and bass in various worship teams and over the years played with Christian rock groups such as “STRAIGHT-UP”, “CROSSWIND”, “BLUES REVIVAL” and “WHIRLWIND” a Motown gospel genre. “Loving GOD, loving wife, loving music and loving life”…it doesn’t get any better than this. PRAISE JESUS. In 2000, Gee started her music career at 10 years old performing with her group P3G at State and County fairs and Christian music competitions in the tri-state area. For the next 9 years P3G traveled to spread the Gospel throughtout the East Coast and mid-west. In 2010 her music lead her new group " Bride Dressed In Black" to develop a blend of Hip/Hop and Rock music, they called it Christain Hip Rock. In 2013, Kurtis Blow, rap star, best known for his 1984 release of "Basketball", invited BDIB to tour with him for a short time. Bride Dressed In Black performed their Hip/Rock Christian Music for the next 6 years. In 2018, Gee joined Holy Smoke with her keyboard and dynamic voice singing from her heart to glorifies the LORD.